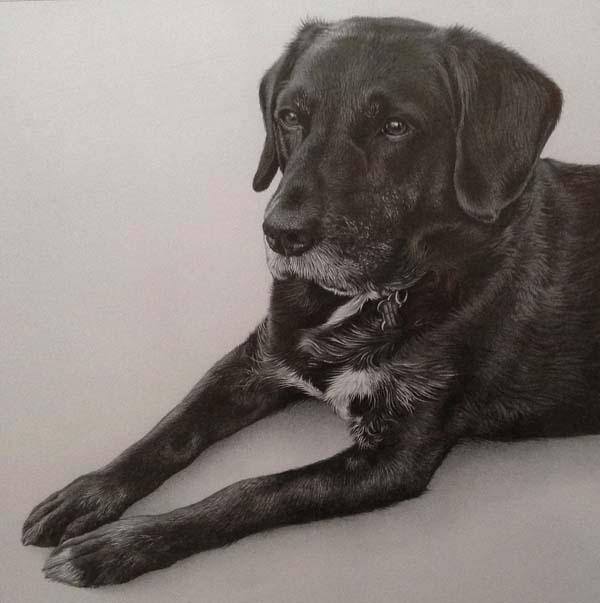 Go life size with ‘true to life’ sized pet portrait drawings. 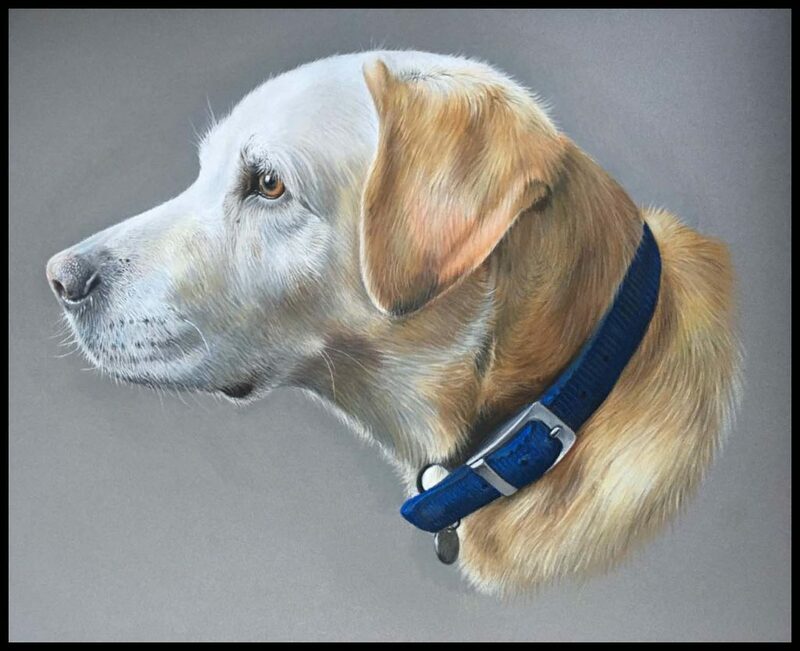 Each pet portrait is very highly detailed and as large as life to make a statement on your wall. These drawings take anywhere from 80 – 200 hours to complete. All hand drawn in pencil on the highest quality Bristol Board 500 heavy weight surface. Please contact me for an individual quote or for more information. 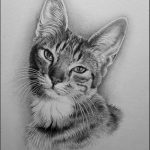 Pet portrait drawings are drawn from your photos, these need to be as high res/large as possible so I can see all the details of your pet. 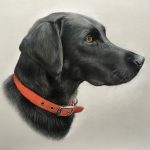 Its also helpful if you are able to measure your pets height (if this isn’t possible I can make an educated guess based on breed etc) this allows me to draw an accurate size portrait. 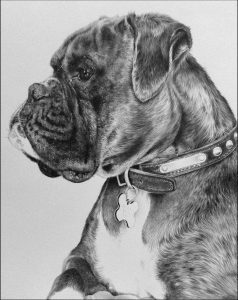 Due to large size of these pet portrait drawings, delivery will be via courier or special delivery. All portraits are mounted ready to frame. When your portrait arrives its best to take it straight to your professional framer where is can be framed behind glass as soon as possible. 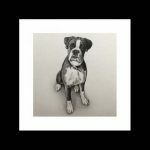 Once framed your pet portrait drawing will be protected. In the mean time, keep your portrait stored flat and if possible, in the original packaging. Just email me at info@julierhodes.com or fill in the contact form below. Let me know the size portrait you would like (or I can advise when I see the photos) and what type/breed of pet you have and if you have a specific date that you’d like the portrait for. You can email photos now or send them to me later.